This entry was posted in Blog, Photographs and tagged QotD on June 7, 2015 by Admin. Bruce teaching Hudson to throw a ball. This entry was posted in Blog, Children and tagged hudson on May 23, 2015 by Admin. WOW, what a beautiful day. Still a little chilly for me. But dressed appropriately, it was gorgeous. Here are some of the images I captured on my walk. Have a safe and fun Memorial Day Weekend everyone! This entry was posted in Blog, Florals and tagged floral on May 22, 2015 by Admin. This entry was posted in Blog, Florals and tagged floral on May 21, 2015 by Admin. One of my favorite signs of spring!! This entry was posted in Blog, Photographs on May 19, 2015 by Admin. This entry was posted in Blog, Photographs on January 24, 2014 by Admin. While in Arizona we visited Taliesin West. Frank Lloyd Wright‘s winter home. Taliesin West is a national historic landmark nestled in the desert foothills of the McDowell Mountains outside of Scottsdale, AZ. It is also the home of the Frank Lloyd Wright Foundation and Taliesin, The Frank Lloyd Wright School of Architecture. Wright’s beloved winter home and the bustling headquarters of the Taliesin Fellowship, Taliesin West was established in 1937 and diligently handcrafted over many years into a utopian world unto itself. 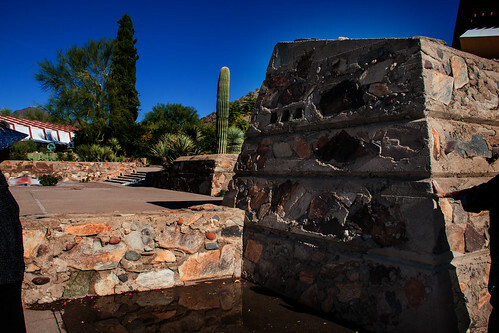 Deeply connected to the desert from which it was forged, Taliesin West possesses an almost prehistoric grandeur. It was built and maintained almost entirely by Wright and his apprentices, making it among the most personal of the architect’s creations. This entry was posted in Blog, Photographs and tagged Frank Lloyd Wright, Taliesin West on November 28, 2013 by Admin. On Tuesday, my folks, Bruce and I went to the Butterfly Wonderland in Scottsdale. We had been to the butterfly exhibit at Desert Botanical Garden several years ago. This place had a wonderful movie called “the flight of the butterfly” it was all about the unbelievable migration of the Monarch butterfly. The movie was in 3D and it was SOOOO cool. Here are some photos I took. If you click the slideshow below, you can make it full size by clicking the arrows in the lower right corner. This entry was posted in Blog, Photographs on November 27, 2013 by Admin. This entry was posted in Blog, Photographs and tagged stella on October 2, 2013 by Admin. This entry was posted in Blog, Photographs and tagged andrew, portrait, senior on September 22, 2013 by Admin. We walked out at St. John’s yesterday, it ended up being a gorgeous afternoon. This entry was posted in Blog, Photographs and tagged Bruce, st. johns on September 16, 2013 by Admin. We got to the fair about 3ish. It was HOT, and HUMID, and all the fat people who were too big to walk and had to use a cart but then had a big pail of cookies or a ginormous ole turkey leg in their hand they were “gobbling” down just gross me out. Between that and the heat, i didn’t really even want to eat! Anyways…when we got there it was not at all crowded, in fact i think it was the least busy i have ever in my life seen it. So that was a bonus. The concert started at 7:30 with Michael Franti, who was really good. Super upbeat, great music, and he went into the crowds like no performer i have ever seen. he kept right on singing but was walking between rows of people on the floor, up on chairs, hugging people, he even came all the way up to the section where we were sitting, which was row 49, and i think it probably only goes to row 60 or something, but we were WAY up there. So far away that i couldn’t really even see them on the stage, and just watched the big screens. A camera man followed him everywhere, so you could see him interacting with the people in the crowd. it was very cool and he seemed to be having a great time. i think he probably played 3 or more songs while in the crowds. I will definitely be buying his CD. …during the 2nd song, 2 people walked ALL THE WAY up to the area where we were sitting (again, i am talking NOSE BLEED SEATS). The girl stopped and asked Bruce a question. I thought they maybe had seats in our row, so we were going to have to move a bit to let them in. Nope…she said “is it just you two?” Bruce said yes. Out came 2 tickets and she asked if we wanted them. “WHAT?? ?” We didn’t quite understand. She said, we were in the 6th row/center stage and we came for Michael Franti, do you want these seats?” OMG!!!!!!!!!!!!!!!!!!!!!!!! We ended up in the 6th row, i couldn’t believe it. Pat Monahan (lead singer) came into the crowd and sang too, and Bruce and I each got to hi-5 him! The show was awesome… WHAT A TREAT THAT WAS! I wish I knew her name so i could thank her. We have no idea why she came up to us, but were super happy that she did! i took a ton of photos, but haven’t looked at any of them yet…but i do believe they will be better than the pictures i got at Matchbox 20!!! Before he started singing MERMAIDS he called for all the mermaids in crowd to join him onstage to sing. I have never seen a performer do this…the girls ranging in age from 5 to 35 looked like they were having the time of their lives! It appeared that one of the mermaids did not make it onstage. They must have cut the line before she got up there. She must have been quite sad, because she was even dressed like a mermaid. Then he said “our new single is called Bruises, it is a duet. Is there anyone who could come up and sing it with me?” There was a mom frantically pointing to her daughter. Pat said “does she know the words?” He was assured that she did. She never cracked a smile, but i bet deep down she was doing back flips!! and she did know EVERY word to the song! WHOEVER THE GIRL WAS THAT GAVE US HER SEATS….THANK YOU THANK YOU THANK YOU!!! This entry was posted in Blog, Photographs and tagged concert, State Fair, train on September 1, 2013 by Admin. This entry was posted in Photographs and tagged basilica, Bruce, susie on August 24, 2013 by Admin. This entry was posted in Photographs on August 24, 2013 by Admin. Since Jill was in town, a bunch of us met at the Sports Page for drinks. This entry was posted in Photographs on August 23, 2013 by Admin. This entry was posted in Photographs and tagged reunion on August 5, 2013 by Admin. Yet today is the youngest you will ever be. So…enjoy this day while it lasts. This entry was posted in Photographs on July 30, 2013 by Admin. In the world of hi-tech gadgetry, I’ve noticed that more and more people who send text messages and emails have long forgotten the art of capital letters. This entry was posted in Photographs and tagged jokes, texting on July 28, 2013 by Admin.